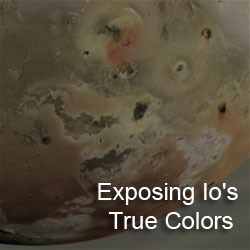 I have added a second set of Io observations to my New Horizons Io Observations page. 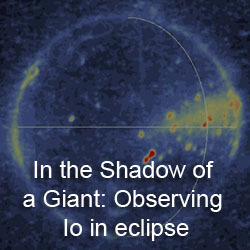 These include the observations acquired around New Horizons' closest approach to Io on February 28, 2007. 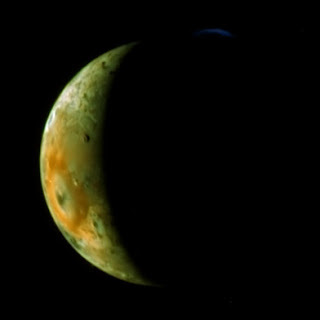 I've also been playing around with the color MVIC data to make them look more Galileo-like. 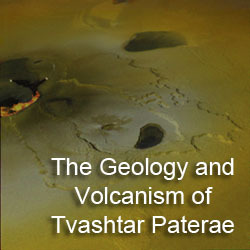 I think the results looks very nice, as shown in the image at left, a combination of color MVIC data and a greyscale LORRI image. Pele certainly looks very nice with this setup.